1.2 These requirements apply to computer equipment that, when used in conjunction with the main control, is necessary for proper operation of the access control system. This Standard does not apply to supplementary computer equipment that is not necessary for operation of the access control system if single opens, earth ground faults or wire-to-wire shorts on the circuit connection from the computer to the access control system does not inhibit intended operation. 1.1 This standard provides requirements for the evaluation of Power over Ethernet (PoE) power sources for access control systems and equipment. The power sources may be provided integral with the access control equipment or as a separate device supplying power. The equipment is intended to comply with Article 725.121, Power Sources for Class 2 and Class 3 Circuits, of the National Electrical Code, NFPA 70. Equipment covered by this standard provides a nominal source voltage of 48 or 53 V DC. 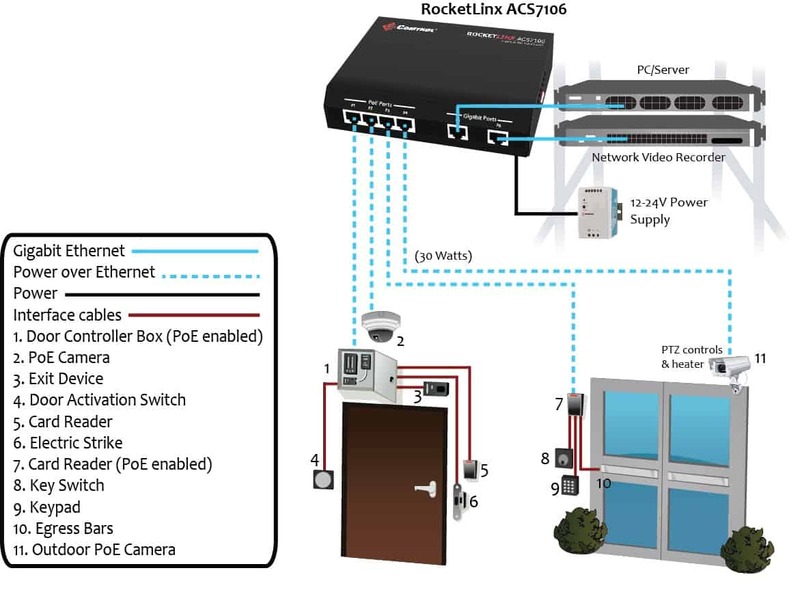 1.2 This standard applies to all connected equipment and interconnections necessary to ensure normal operation of the PoE powered control system. 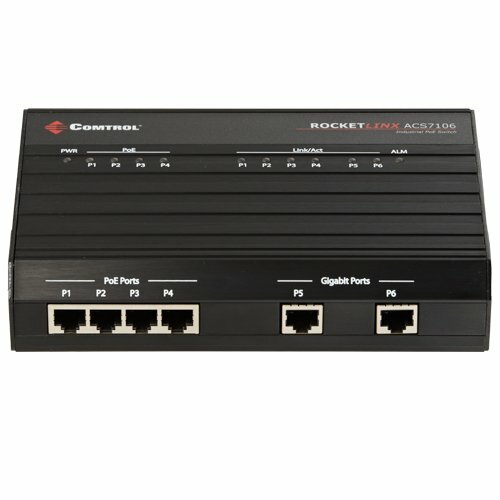 1.3 PoE sources covered by this standard are not intended to be located in an outdoor environment. 1.4 The PoE source shall meet the applicable requirements of the Standard for Access Control System Units, UL 294. See 2.2.4 and 2.2.5.Outdoor Use Equipment; Sections 70 – 81 of UL 294 inclusive are not applicable. These system standards apply to the construction, performance, and operation of systems intended to regulate controlled areas. These types of areas might include entry into a protected or restricted area or access to or the use of a device by electrical, electronic or mechanical means. By having a system with devices that are UL294 listed, you can avoid costly problems with contractors and inspectors. For more information on the UL294 standard or the RocketLinx ACS7106 PoE switch, please contact [email protected] or 763.957.6000.